Having been born, we experience problems. Mundane or serious, the problems keep coming no matter how hard we labour to develop our capabilities and improve our circumstances. Loss, humiliation, and danger, are unavoidable facts of life; we cannot shield ourselves against these problems but we can choose how we face them. 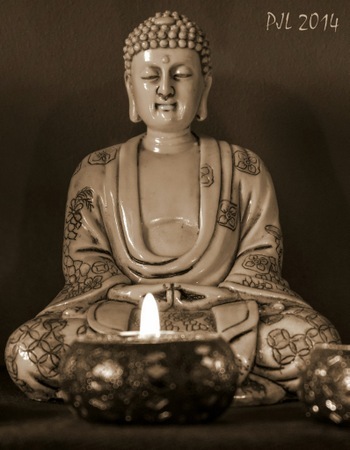 When adversity strikes we can take it personally and react with denial and anger, or we can respond compassionately with patience and equanimity. Experiencing life as a personal affront and entertaining denial and anger is not only physically/mentally draining but also stresses the people around us. Accepting the situation and not taking it personally, on the other hand, not only eases our suffering mind but is kinder to others and a sets a good example. I will be fully present and accepting of what life brings me this day. …..them to the best of my ability. I vow not to let anger and resentment cloud my vision and judgment. 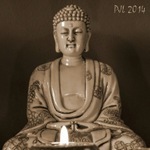 This entry was posted in Meditation and tagged equanimity, meditation, mindfulness, patience. Bookmark the permalink. Thank you! I’m studying the Paramis, and was looking for a mantra to reinforce my practice of patience/forbearance. This is perfect.